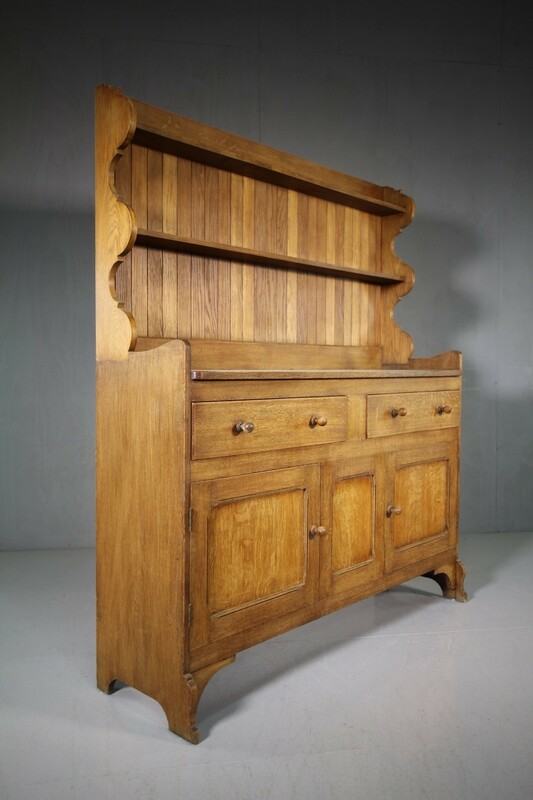 1920's Greenings of Oxford Oak Dresser. 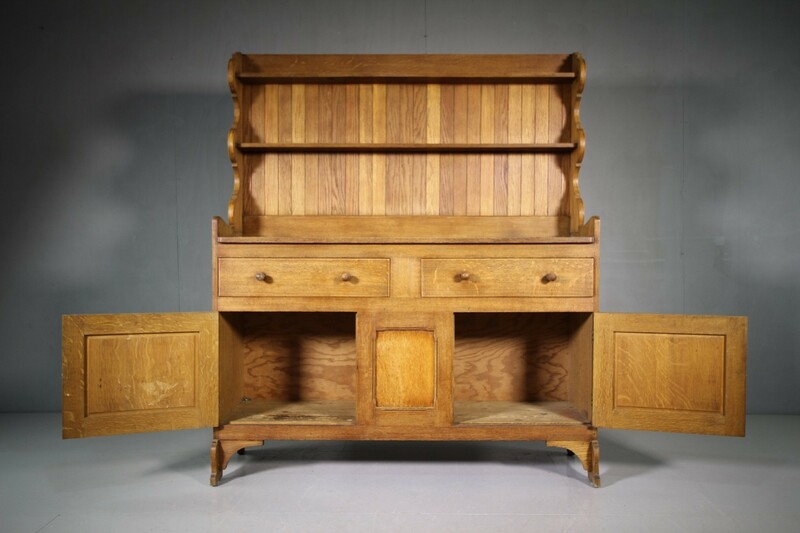 This is a beautifully made, English oak dresser that dates from the twenties, designed by John Stark and is made by Greenings of Oxford, then retailed by heals of London. 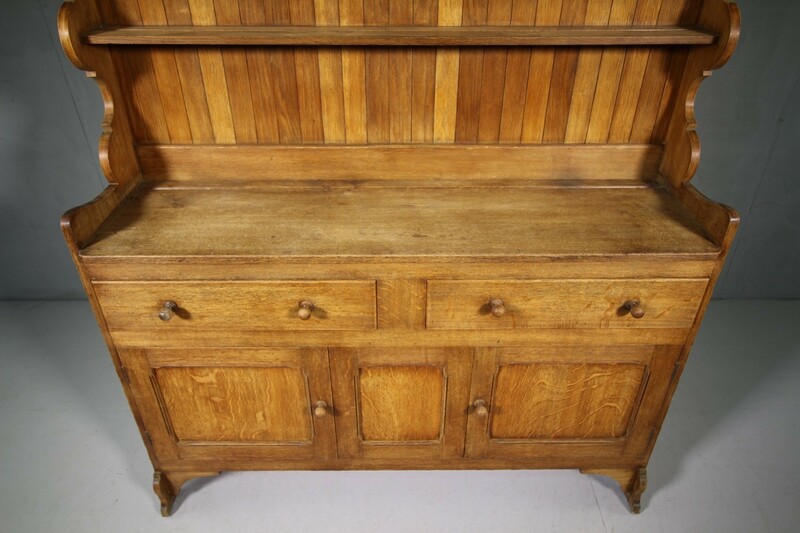 A lovely size, in excellent clean and solid condition. 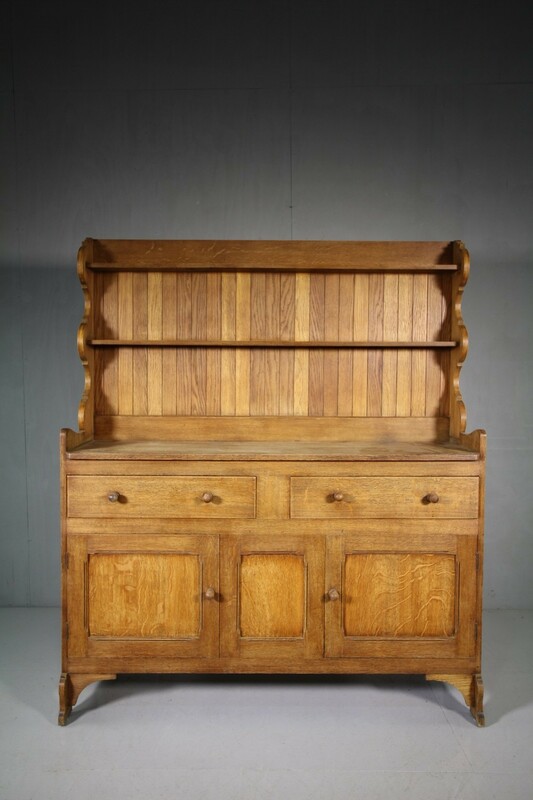 This English solid oak dresser splits into two sections, the top is an open display rack with the dresser base having two drawers over two cupboard doors. In the original finish. 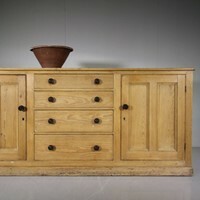 All totally original, a good quality Heals oak furniture made for them by Greenings of Oxford.